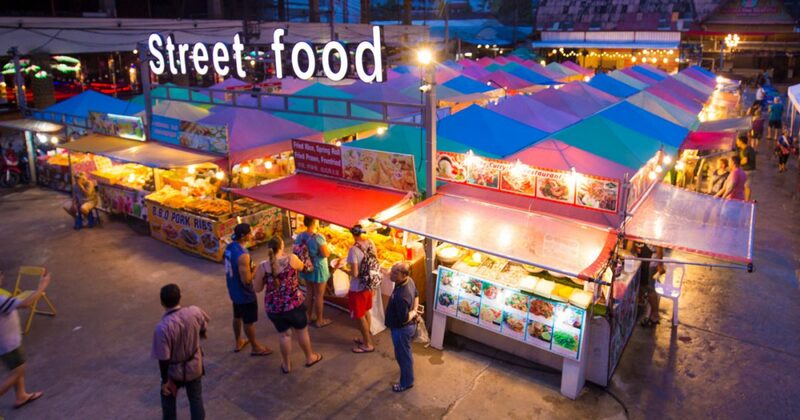 Bangla Street Food is the latest opening in Bangla road, the heart of Patong nightlife. 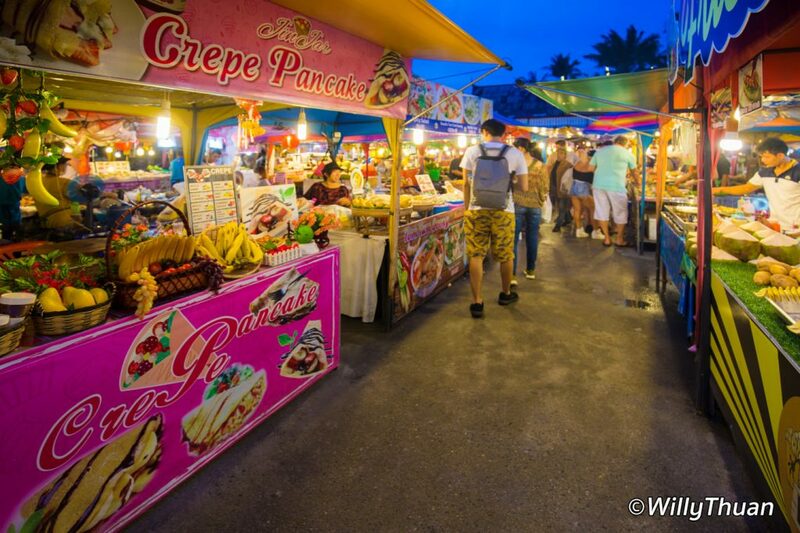 A Street food is a smart move in this part of town. 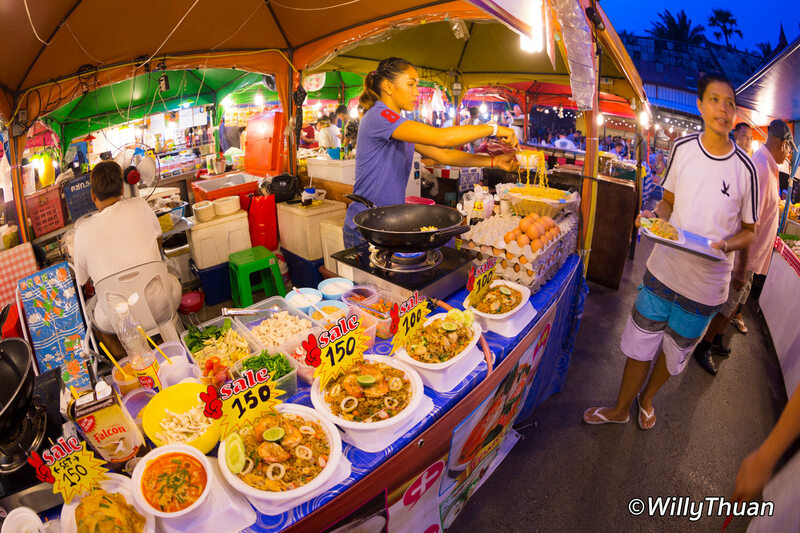 People love street food: it’s easy, cheap most of the time, and it’s cool to post on your Facebook and pretend you are a foodie. Bangla Street Food is still partially under construction and you can tell it hasn’t yet settle down, the way things go around there. Build it overnight and let it shape itself with time. 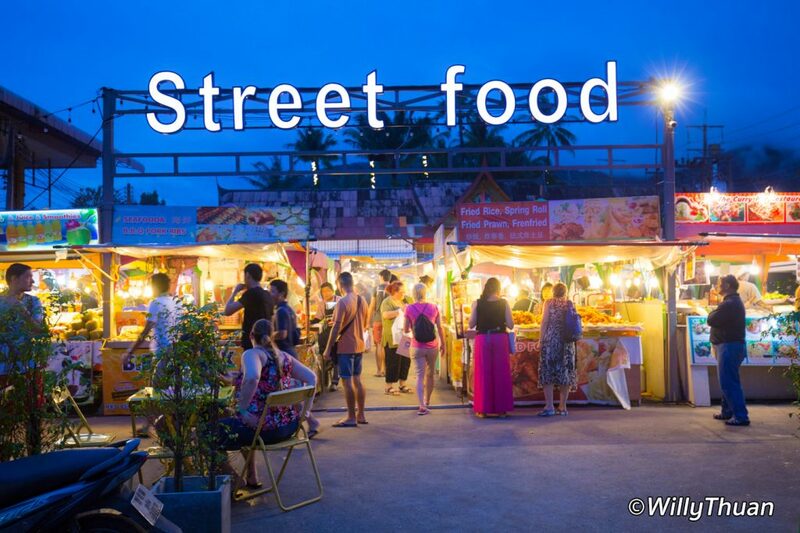 Actually, this street food is not really new. Before being demolished, this block it was already a seafood street with some very popular restaurant like Number 10. Some them are still here. But the concept is nicer as long as it doesn’t rain that is. The way it works is also a little different. The central area is occupied by the restaurants, each sheltered by one of those colourful tents so affectioned by night markets. All around is the seating area where you can bring the food and the drinks you purchased. It’s that simple. In the previous version of this area, you had to sit at a restaurant and order everything from them. Now each person can pick from the restaurant of their choice and eat together. It’s very Asian. Expect to find… what people want to eat. In some case it’s probably more authentically Thai than some popular Thai restaurants nearby. Lots of Pad Thai, ribs and rice, satays and grilled chicken. And more seafood than you can eat: fish and those huge prawns they grill so nicely and serve with that nice green seafood sauce. To go with that, and because it Bangla road, you’ll find a lot of beers and cocktail. If you don’t drink alcohol you can find plenty of fruit smoothies and shakes. Bangla Street Food opens late and it’s really casual. So it’s actually the perfect place before AND after party. 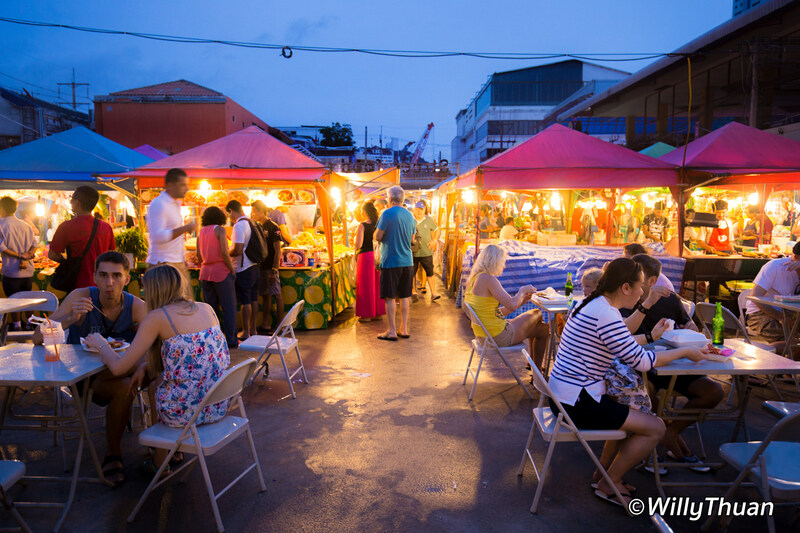 This is something really fantastic about Patong: you can party until 3 or even 4 am and still enjoy some seafood! And often, unless you drank more that you should have, you will be hungry!